Balochistan is one of the four provinces of Pakistan. It is the largest province in terms of land area, forming the southwestern region of the country. Its provincial capital and largest city is Quetta. Khyber Pakhtunkhwa is one of the four administrative provinces of Pakistan, located in the northwestern region of the country along the international border with Afghanistan. It was previously known as the North-West Frontier Province (NWFP) until 2010 when the name was changed to Khyber Pakhtunkhwa by the 18th Amendment to Pakistan's Constitution, and is known colloquially by various other names. Khyber Pakhtunkhwa is the third-largest province of Pakistan by the size of both population and economy, though it is geographically the smallest of four. 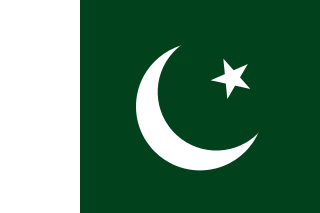 Within Pakistan, Khyber Pakhtunkhwa shares a border with Punjab, Balochistan, Azad Kashmir, Gilgit-Baltistan, and Islamabad. It is home to 17.9% of Pakistan's total population, with the majority of the province's inhabitants being Pashtuns. The province is the site of the ancient kingdom Gandhara, including the ruins of its capital Pushkalavati near modern-day Charsadda. Originally a stronghold of Buddhism, the history of the region was characterized by frequent invasions under various Empires due to its geographical proximity to the Khyber Pass. West Punjab was a province of Pakistan from 1947 to 1955. The province covered an area of 205,344 km2, including much of the current Punjab province and the Islamabad Capital Territory, but excluding the former princely state of Bahawalpur. The capital was the city of Lahore and the province was composed of four divisions. 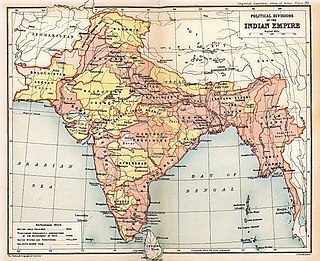 The province was bordered by the Indian states of East Punjab and Jammu and Kashmir to the east, the princely state of Bahawalpur to the south, the provinces of Balochistan and Sind to the southwest, Khyber-Pakhtunkhwa to the northwest, and Azad Kashmir to the northeast. Amb also known as Tanawal was a princely state of the former British Indian Empire ruled over by chiefs of the Tanoli tribe from supposed Ghilji Pashtun descent. Following Pakistani independence in 1947, and for some months afterwards,The nawabs of Amb remained unaligned. However, at the end of December 1947 he acceded to Pakistan, while retaining internal self-government. Amb continued as a Princely state of Pakistan until 1969, when it was incorporated into the North West Frontier Province. The Districts of Pakistan, are the third-order administrative divisions of Pakistan, below provinces and divisions, but form the first-tier of local government. In total, there are 154 districts in Pakistan including the Capital Territory, districts of Azad Kashmir and Gilgit Baltistan. These districts are further divided into tehsils or talukas. The former administrative units of Pakistan are states, provinces and territories which mainly existed between 1947 and 1975 when the current provinces and territories were established. The former units have no administrative function today but some remain as historical and cultural legacies. In some cases, the current provinces and territories correspond to the former units – for example the province of Punjab includes almost all the territory of the former province of West Punjab. The paramilitary forces of Pakistan consist of various uniformed organisations largely equipped with light infantry weapons and charged with a range of internal and external duties. The four provinces and autonomous territories of Pakistan are subdivided into administrative "divisions", which are further subdivided into districts, tehsils and finally union councils. These divisions were abolished in 2000, but restored in 2008. The divisions do not include the Islamabad Capital Territory or the Federally Administered Tribal Areas, which were counted at the same level as provinces, but in 2018 the Federally Administered Tribal Areas were subsumed into Khyber-Paktunkhwa Province. Law enforcement in Pakistan is one of the three main components of the criminal justice system of Pakistan, alongside the courts and the prisons. In Pakistan, law enforcement is jointly carried out by the federal and provincial police services and other law enforcement agencies who form a chain leading from investigation of suspected criminal activity to administration of criminal punishment. The court system is vested with the power to make legal determinations regarding the conduct of the other two components. A Member of the Provincial Assembly , or MPA, is a representative elected by the voters of an electoral district to the legislature or legislative assembly of a subnational jurisdiction. In Pakistan, the members are elected by the voters in provinces for a term of five years. The Federally Administered Tribal Areas was a semi-autonomous tribal region in northwestern Pakistan that existed from 1947 until being merged with neighboring province Khyber Pakhtunkhwa, in 2018. It consisted of seven tribal agencies (districts) and six frontier regions, and were directly governed by Pakistan's federal government through a special set of laws called the Frontier Crimes Regulations. It bordered Pakistan's provinces of Khyber Pakhtunkhwa and Balochistan to the east and south, and Afghanistan's provinces of Kunar, Nangarhar, Paktia, Khost and Paktika to the west and north. The territory is almost exclusively inhabited by the Pashtun, who also live in the neighbouring provinces of Khyber Pakhtunkhwa and Northern Balochistan, and straddle across the border into Afghanistan. They are mostly Muslim. Pakistan's cultural heritage includes archaeological sites, stupas, forts, shrines, tombs, buildings, residences, monuments, and places of worship. 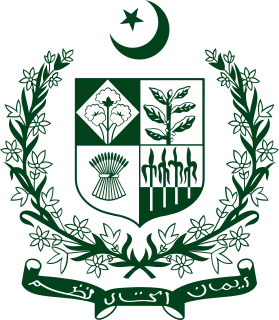 Until the passing of the Eighteenth Amendment to the Constitution of Pakistan, some sites were under the federal government while others were in the provincial domain. Gilgit-Baltistan is admisitrative unit of Pakistan situated in the Northern Part of the country.It is one of the best tourist spots in Pakistan. Sindh is one of the four provinces of Pakistan. It has 29 districts, where each district is further divided into tehsils. Karachi, the capital of Sindh, is the most populous city district, as well as the most densely populated. It was initially a single district, now being further subdivided into East, West, South, Central, Malir and Korangi districts. Sindhi is the native language, and is widely spoken among the local population, alongside Seraiki, Balochi and Thari. The urban districts of Sindh are diverse in terms of religion and ethnicity. Urdu, Punjabi and Pashto are also widely spoken among migrant communities residing in urban areas. Roads in Pakistan can be classified as federal, provincial and municipal roads. Provincial elections were held in the Pakistani province of Sindh on 11 May 2013, alongside nationwide general elections and three other provincial elections in the provinces of Punjab, Balochistan and Khyber Pakhtunkhwa. The remaining two territories of Pakistan, Azad Kashmir and Gilgit-Baltistan, were ineligible to vote due to their disputed status. ↑ "Northern Areas renamed Gilgit-Baltistan Poll for assembly, CM in Nov Regional groups unhappy: Autonomy package for NAs approved". DAWN. August 30, 2009. ↑ "Disputed Northern Areas renamed as Gilgit-Baltistan". Hindustan Times. Aug 30, 2009. ↑ "From NWFP to Khyber Pakhtunkhwa". DAWN. April 1, 2010. ↑ "New dawn for FATA as K-P approves merger - The Express Tribune". 27 May 2018. ↑ Hayat, Arif (27 May 2018). "KP Assembly approves landmark bill merging Fata with province". ↑ Wasim, Amir (31 May 2018). "President signs KP-Fata merger bill into law". ↑ "Area, Population, Density and Urban/Rural Proportion by Administrative Units". Population Census Organization, Government of Pakistan. Archived from the original on 22 December 2010. ↑ Zaidi, S. Akbar (11 January 2014). "Karachi as a province". ↑ Correspondent, The Newspaper's (22 May 2018). "TSH to shut Hazara after Eid". ↑ "Treasury benches demand appreciation, opposition criticize govt for ignoring development -". 8 May 2018. ↑ Singh, Pallavi (29 April 2010). "Gilgit-Baltistan: A question of autonomy". The Indian Express. Retrieved 27 December 2016. But it falls short of the main demand of the people of Gilgit- Baltistan for a constitutional status to the region as a fifth province and for Pakistani citizenship to its people. ↑ Shigri, Manzar (12 November 2009). "Pakistan's disputed Northern Areas go to polls". Reuters. Retrieved 27 December 2016. Many of the 1.5 million people of Gilgit-Baltistan oppose integration into Kashmir and want their area to be merged into Pakistan and declared a separate province.